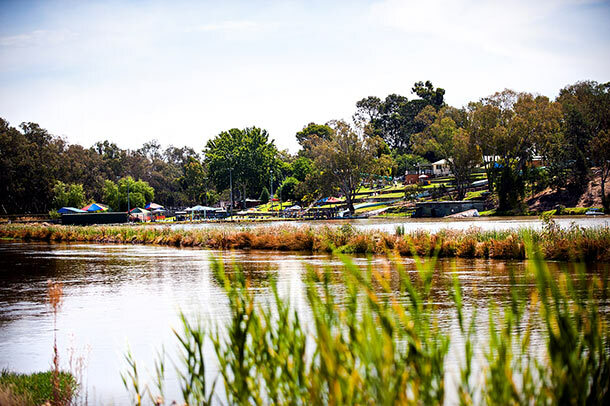 Wetlands: Narrandera, known as the Town of Trees has many natural attractions. 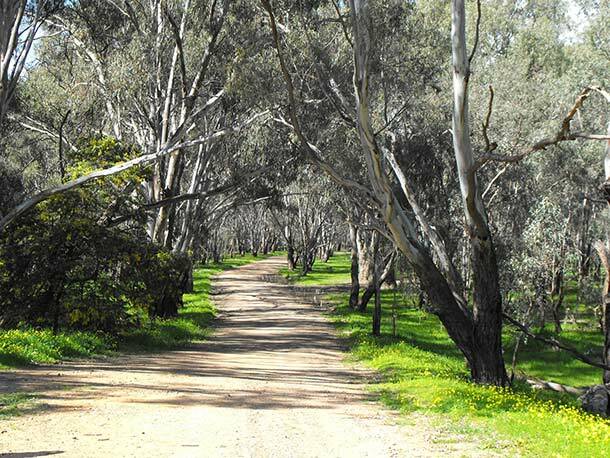 Bush walk the Nature Reserve or break your journey and visit the Wetlands which are located at the southern entry to the town between the canal & the Murrumbidgee river. Follow the interpretive signage on a 1 kilometre stroll and enjoy the abundant flora and fauna. From the bird hides spot the Superb Australian Parrot, Koalas, Southern Bell & Yellow Spotted Tree Frogs or the Little Bitten which forage in the Wetland particularly during Spring . Study the Australian panel bridge as you cross the inlet. Lavender Farm: Lavende Aromatiques Lavender Farm is a worldwide supplier of dried lavender, essential lavender oil and exquisitely handcrafted lavender skin care products and gift items. The Lavender Farm is open six days a week and has been described as an oasis and is certainly worth a visit. 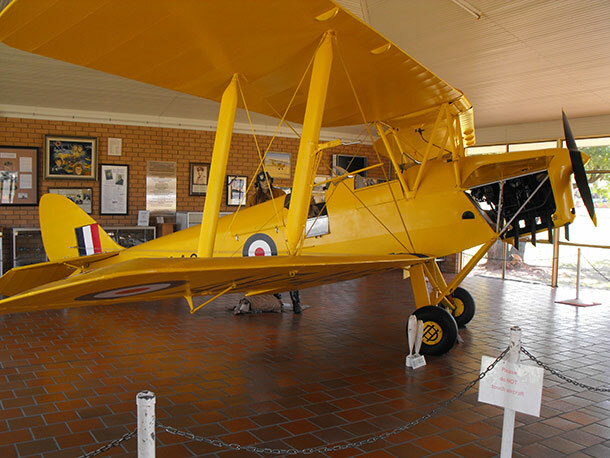 Narrandera Airport: (also known as Leeton/Narrandera Airport) (IATA: NRA, ICAO: YNAR) is a small regional airport in the local government area of Narrandera in the Riverina region of New South Wales, Australia. 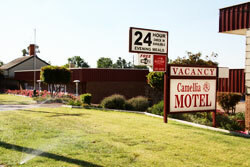 The airport is located 4 nautical miles (7.4 km; 4.6 mi) northwest of Narrandera along Irrigation Way. 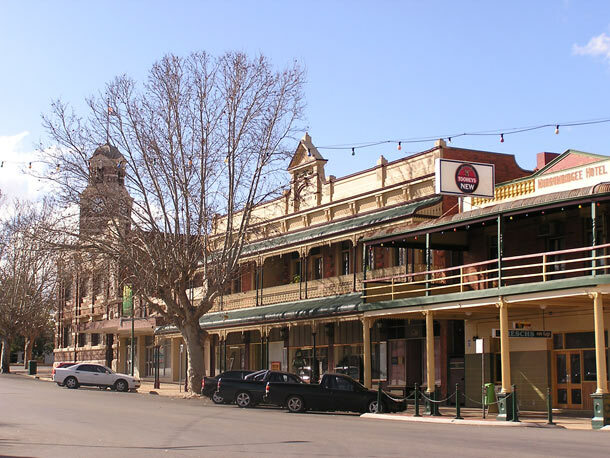 The airport services the towns of Leeton and Narrandera as it is located between the two towns. The Riverina Drag Racing Association: holds their drag racing event four times a year at the airport. Sports Events: All the local Clubs hold annual tournaments and Camellia Motel is the closest for accommodation to the Golf Club (info@narranderagolfclub.com.au) the Race Club (leone@narranderaraceclub.com.au ) and Bowls Club.